Bright & Bold Splash Pool Party At Aloft Bangkok – Sukhumvit 11. Tall Sasha (San Francisco/BKK), and Orny Princess (Thai Model/Singer) will perform live, Plus special guest DJ. 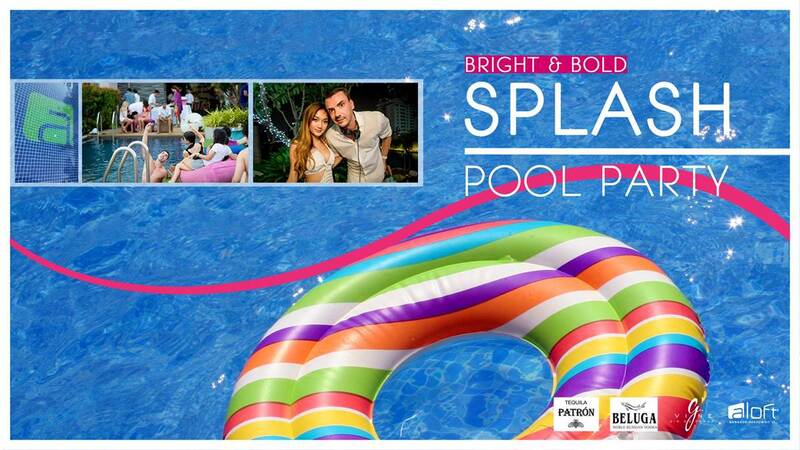 Aloft Bangkok Hotel is bringing their Splash Pool Party series. A perfect place for an unforgettable pool party.